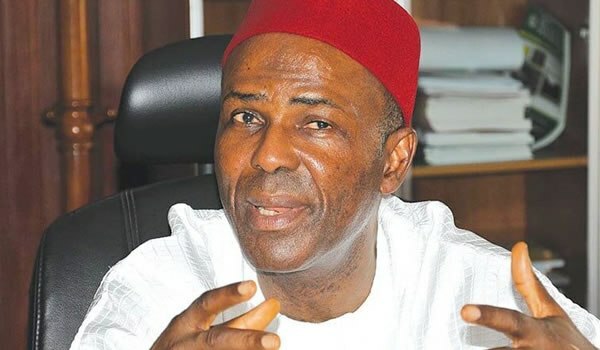 Chief Okorie Onu, kinsman of Dr. Ogbonnaya Onu, the Minister of Science and Technology, and other opposition leaders in Ohaozara Local Government Area of Ebonyi State at the weekend defected to the ruling Peoples Democratic Party (PDP). The All Progressives Congress (APC) members announced their defection to PDP during a grand finale of PDP campaign rallies which held at the Uburj Secondary School, Uburu. Chief Austin Chukwu of the Labour Party (LP), the brother of Professor Onyebuchi Chukwu, former Minister of Health who lost to Umahi in 2015 and Dr. Nweze Austin, the governorship aspirant of Social Democratic Party (SDP), were among the chieftains that defected to the PDP at the event. Governor Umahi who was visibly elated by the mammoth crowd that graced the occasion urged people of the state to ensure that they arrived at the polling booths on time, cast their votes and remain vigilant. He appealed to them to vote for all PDP candidates.